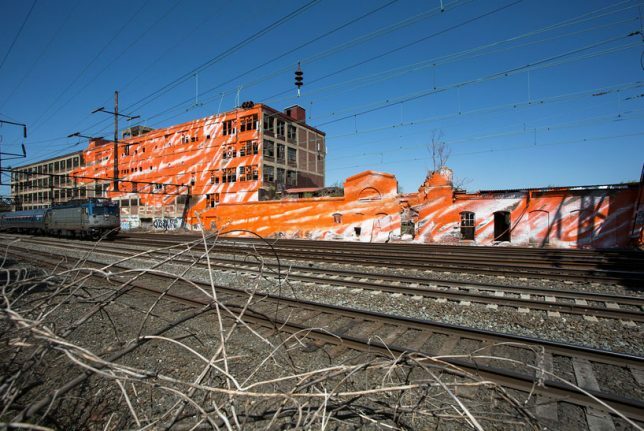 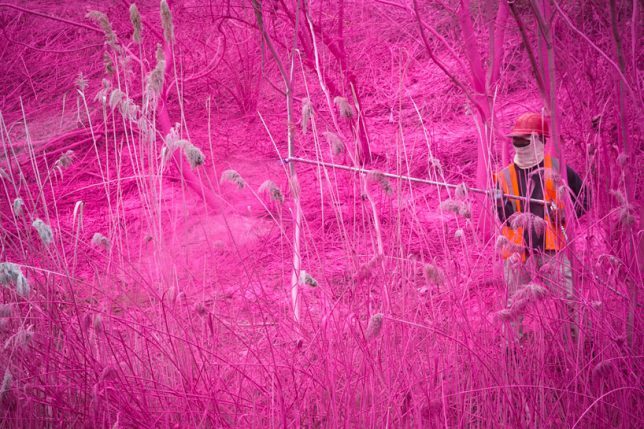 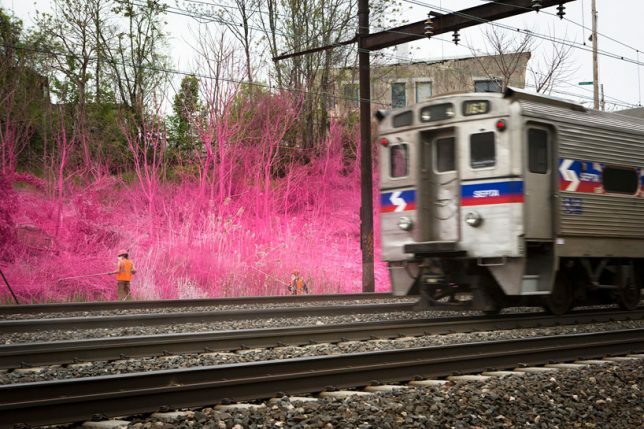 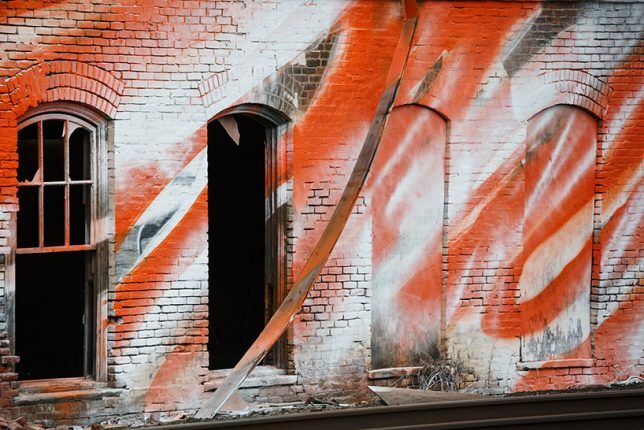 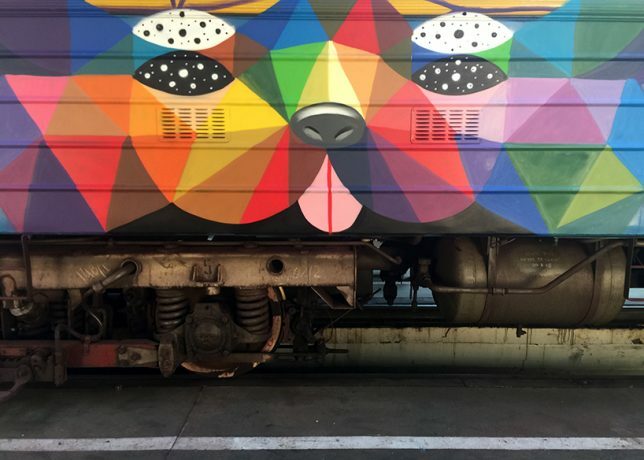 As railway systems decay in the United States and flourish elsewhere in the world, works of art pop up in train cars and along disused tracks, paying tribute to the journey of a transportation system in transition. 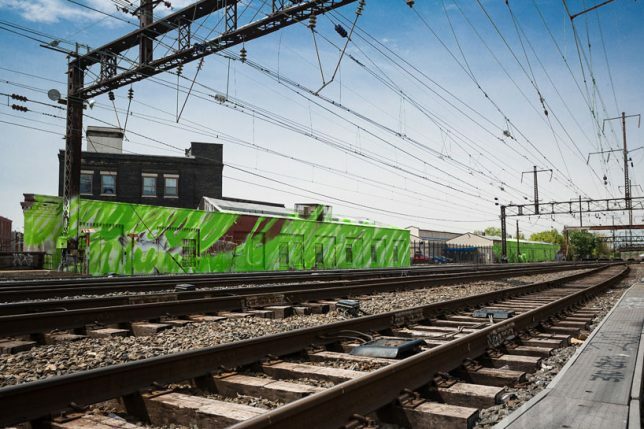 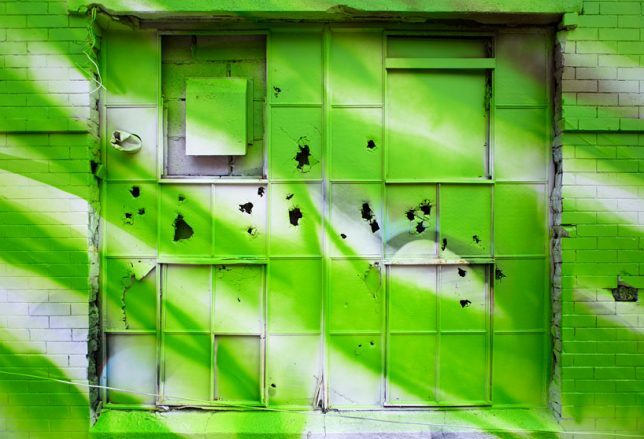 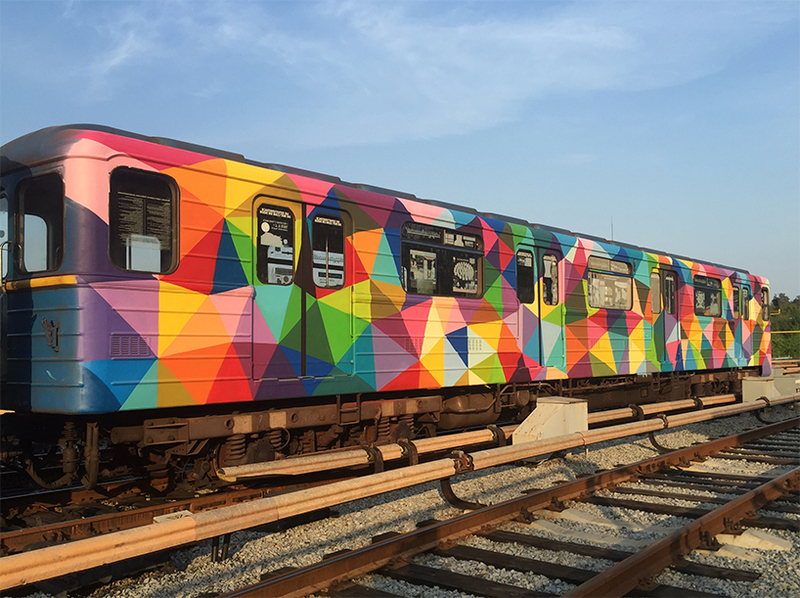 Painted murals display works of art across long distances, interior installations make trips more engaging and projects reclaiming abandoned tracks mull over their history and the scars they leave on the landscape. 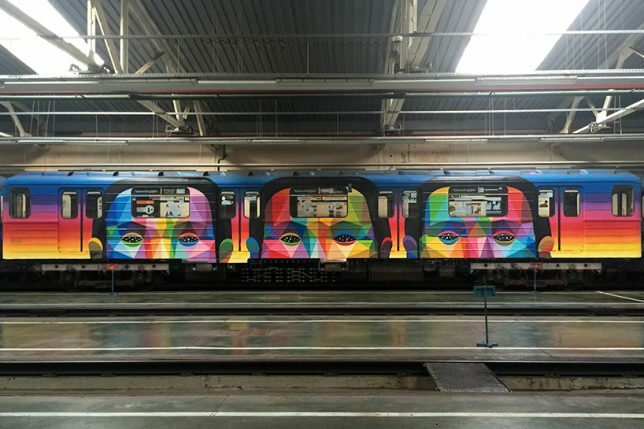 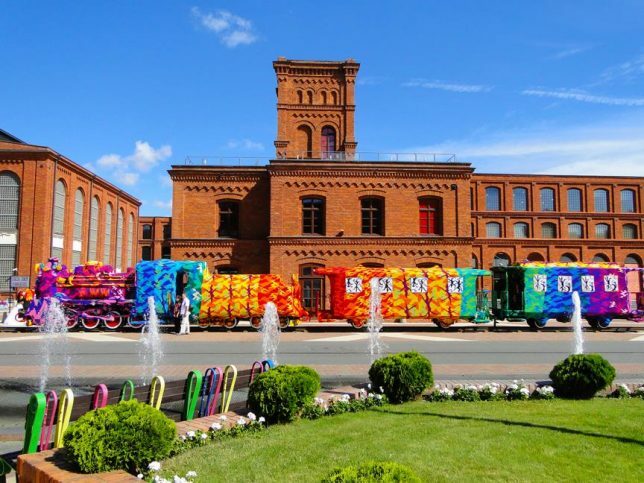 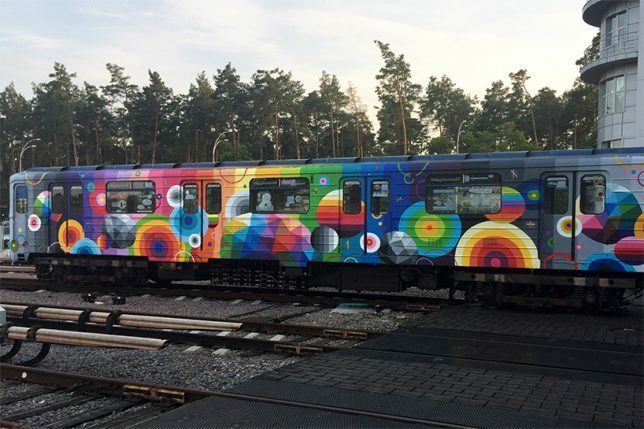 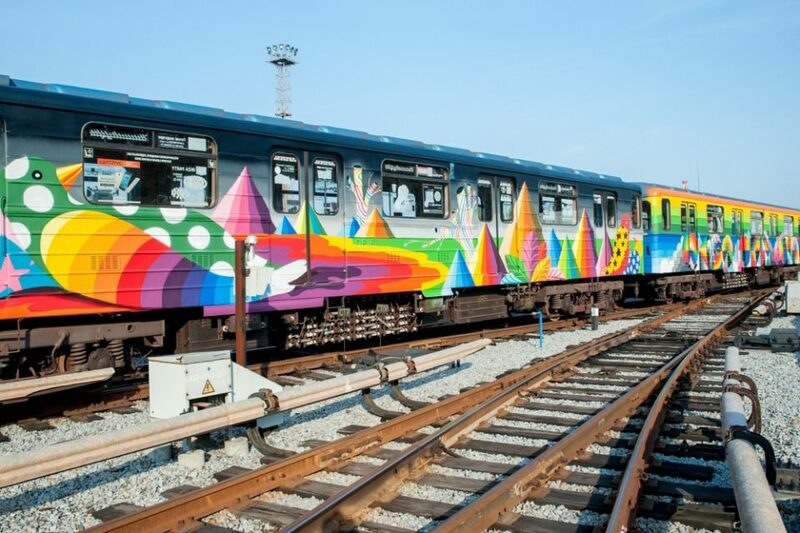 For Ukraine’s Independence Day, street artist Okuda San Miguel painted an entire train from the Kiev metro network in his signature style, full of rainbow geometry and the faces of animals and people. 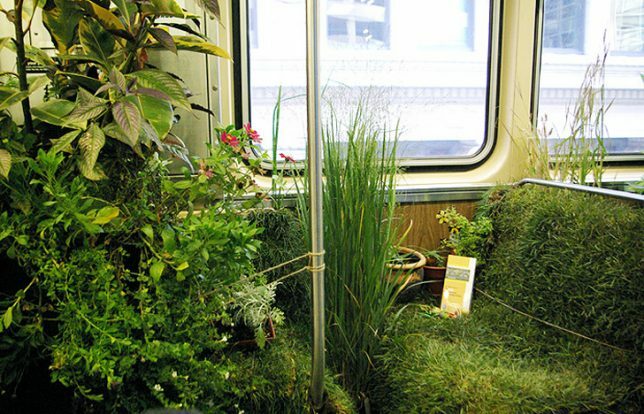 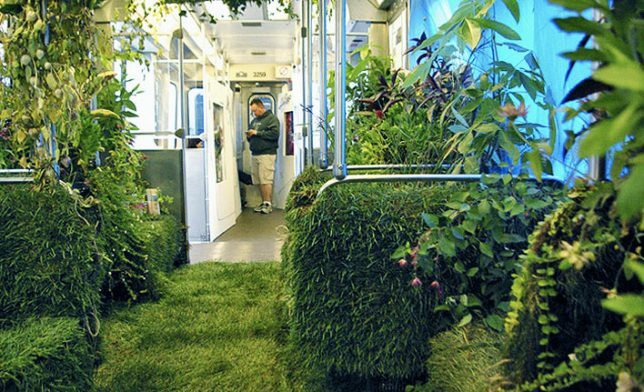 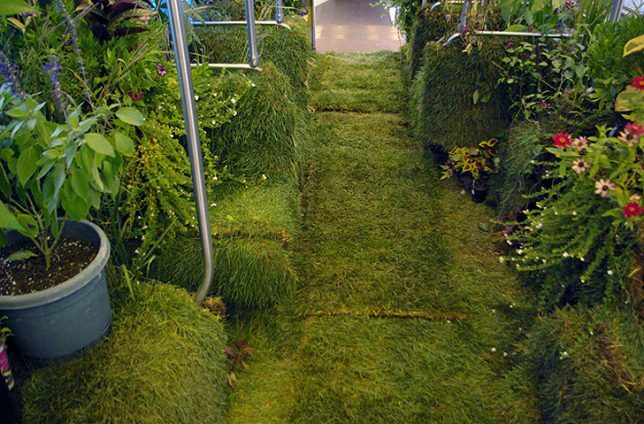 Chicago’s public transit system was temporarily transformed into a mobile garden for the Art on Track festival, inviting passengers to walk and sit on grass among lush vegetation as they made their way across the city. 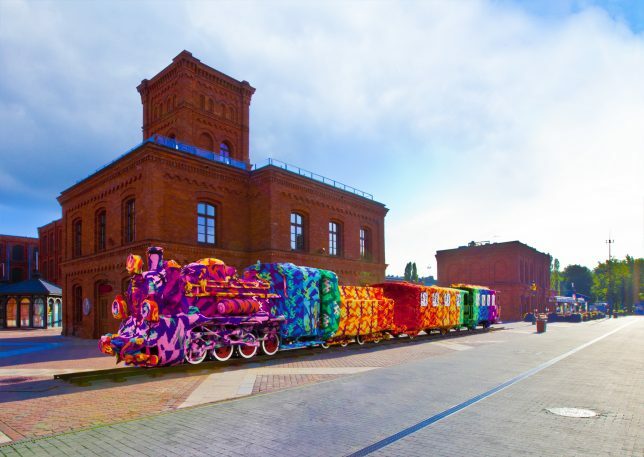 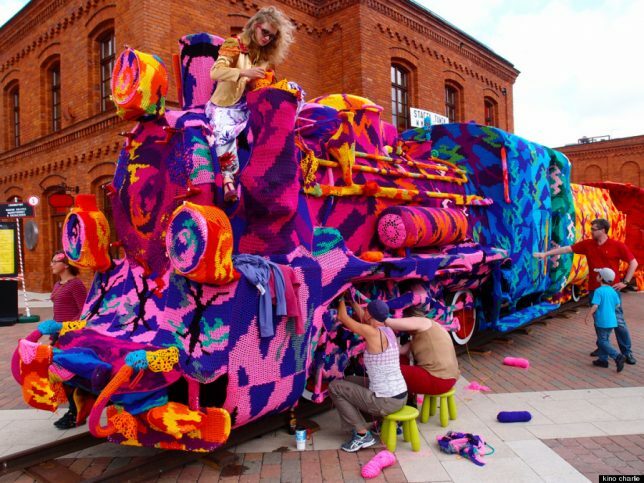 Crochet artist Olek yarn-bombed an entire train, working for two days straight with four assistants to cover an entire locomotive in Lodz, Poland with brightly-colored camouflage-pattern crochet.